Christopher Columbus High School offers a wide array of summer programs for students ranging in age from third grade through current Explorers. From athletics to academics and the arts, the Explorers Summer experience is a wonderful way to introduce your children to the finest all-boy Catholic high school in Miami-Dade County. For information on a particular camp, click the ‘+’ next to the item and the section will expand to showcase more instruction. 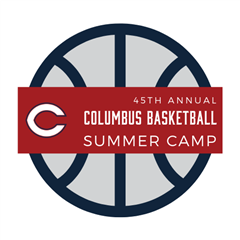 The Columbus Basketball Camp is for boys and girls of all abilities who want to improve their basketball skills. *Lunch is included. Activities: basketball, other sports, field trips (minimal additional fee). Our goal is to provide a safe and enjoyable environment for your children. We strive to continue the Columbus tradition of excellence by offering one of the best basketball programs in a state-of-the-art, air-conditioned facility. We offer extended hours for full day campers to enjoy different recreational activities daily until 4:00pm. Lunch is included in our full-day camp fee. Full-day campers enjoy their afternoons playing a variety of sports including: softball, football, soccer, kickball, volleyball, tennis, ultimate Frisbee football and Dr. Burrus’ famous Arm Wrestling Event. They will also have fun playing board games such as: checkers, chess, Sorry, Monopoly, card games, knock hockey, Battleship and others. DIRECTOR - BUTCH STAIANO: During his tenure as Columbus’ Head Basketball Coach for 21 years and a Columbus coach for 28 years, Coach Staiano has won 360 games. Although he no longer coaches the team, Coach Staiano continues to run the Columbus Basketball Camp, placing emphasis on the offensive and defensive fundamentals. 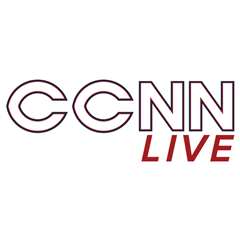 Would you like a CCNN Live shirt? Send an email request to ccnnlive@columbushs.com with your size. Shirts are $20. Information: At the CCNN Live summer institute, students from grades 6-9 learn journalism and video production skills from experts and students alike. Students will learn to write a fair and balanced story, shoot, edit and create visual effects for their pieces. Principles of journalism will be discussed and Will Manso (Local 10) and Marybel Rodriguez (CBS 4)) will give students their personal perspective on the media. The camp will culminate with students pairing up and showcasing their newly learned skills. Student work will be critiqued and revised by teachers as well as industry professionals. This will provide students the entry level skill-set needed to further their abilities as emerging young journalists. This program will focus on the conditioning of runners of all levels--modifying workouts to fit their needs. It will focus on the building of a base mileage and the introduction of workouts that range from fartleks, tempos/thresholds, and hills - once each runner's fitness level calls for it. Focus will be given to body strengthening through calisthenics and stretching to ensure a perfectly developed runner and help them stay injury free. REGISTER BEFORE THE FIRST DAY OF CAMP FOR EARLY BIRD PRICING! Note: We cannot guarantee camp shirt availability and/or sizes for registrations after June 22nd, 2019. Is this for boys or girls and what ages? The camp continues to be open to both boys and girls of all fitness levels, in grades 4th - 12th for the 2019-2020 school year. Where exactly do you meet and how long is practice? We meet at Shelter #10 by the hill in Tropical Park every Monday-Thursday at 6pm and Fridays at 7am.. Practices are from 6pm-7:30pm Monday-Thursday & 7:00am-8:30am on Fridays. A basic running watch (GPS not needed) and water bottle (a cooler will be available to refill). Make sure to dress in running attire and sneakers. We will be having an informational meeting the first week about proper running shoes, so don't buy new ones just yet! We use the app Remind to keep you up to date on weather updates. We meet at the park even if it is raining and try to wait it out (unless otherwise stated on the Remind and social media). Parents and campers can get the update by simply texting "@PressOn" to the phone number 81010. Missed days due to rain are not made up. We encourage the kids to run on thier own if safe on days we get rained out. Yes. We offer a $10 (per week) sibling discount for each sibling after the first runner has paid regular price. Please select the appropriate ticket type and quantity when registering. 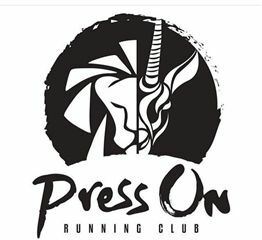 If you have any additional question not answered in the FAQs, please reach out to us at pressonrunning@gmail.com. To learn more, visit https://presson2019.eventbrite.com. Information: Web Ball Summer Baseball Camp covers all facets of the game including hitting, fielding, pitching, base running and team play. Campers will be coached by various members of the Christopher Columbus Baseball Staff, including Head Coach Joe Weber. Summer athletic team workouts are only for current students of Christopher Columbus High School! Summer practice will begin on Monday, June 10th. We will practice on Monday, Wednesday, and Friday from 5:30 pm - 8 pm through July 1st. Starting on Monday, July 8th, we will begin practicing Monday through Friday from 5:30 pm - 8 pm. Summer B session ends August 12th. *All Incoming freshmen football players must have a current physical to participte in fall sports. Once completed, physicals are to be submitted to Brother Herb Baker in the training room facility. There will be no practice July 3th through 5th in observance of Independence Day.